Experience the power of Soprano XL Near-Infrared (NIR) Skin Tightening – a revolutionary new light based solution to eliminate some of the effects that time can have on your skins appearance, tone and laxity. Near Infrared technology is a safe infrared light that heats the tissue under the skin’s surface, tightening skin laxity and improving skin architecture. The infrared technology heats the tissue deep below the skins surface causing collagen fibres to contract and tighten and stimulates the formation of new collagen, further enhancing the tightening effect and helping to bolster the skin against future ageing. The presence of healthy collagen in the dermis helps maintain the skin’s youthful resilience and texture. What is Near Infrared Skin Tightening and how does it work? The Soprano XL Near-Infrared Skin Tightening laser is a new and effective treatment for improving skin laxity without surgery or downtime. 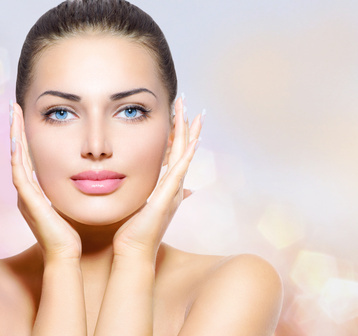 The procedure uses a safe infrared light to heat the water content in the tissue deep below the skins surface causing collagen fibres to contract and tighten to smooth out fine lines and sagging skin. The heat also stimulates fibroblasts which repairs cells in your skin to produce new collagen, creating long term results. It can be used for most body areas where tighter skin is desired, reducing the signs of ageing. It is commonly used for the face, neck, upper arms, abdomen and hands. Just prior to the treatment protective eye wear will be provided and a cool gel will be applied to the area to be treated. The NIR hand piece is then passed over the treatment area in a sweeping motion. During the treatment the skin temperature of the treated area will be closely monitored with a special infrared thermometer to ensure that your skin is receiving a sufficient level of heat necessary to warm up the water content of your skin and stimulate collagen production. The treatment typically takes 20-30 minutes depending on the body area being treated. Who is suitable for Infrared Skin Tightening treatment? The effectiveness of laser Skin Tightening treatments is dependent on the characteristics and severity of your loose skin. Laser Skin Tightening works best if you have mild to moderate laxity and sagging in the cheek, jawline and/or neck and mild looseness with minimal stretch marks on your abdomen. Patients between 30 and 65 are generally good candidates for this type of procedure. Who is not suitable for Skin Tightening treatment? If you are pregnant, breast-feeding, have taken Roaccutane in the past 6 months or you are taking any photosensitising medication you should not receive laser treatment.